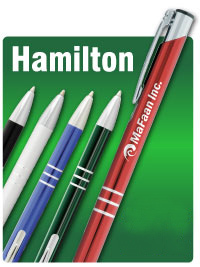 We are a manufacturer of high quality logo pens at the Budget Prices in the USA and Canada. Secure Online Ordering. Free artwork design. We will send you a proof for your approval before production. 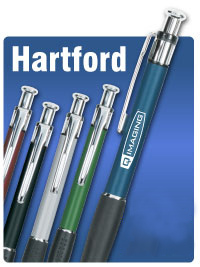 Most of our prices include your 1-color custom imprint on the logo pen. 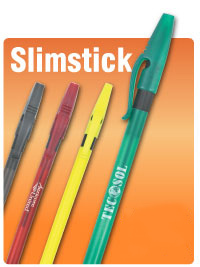 Although we display just a few, we can supply virtually any type of logo pen or pencil at factory direct prices. We will be glad to quote you promptly, no matter what type of product you need: contact us by Email: info@mapleleafpromotions.com or call us toll free: 1-800-383-4925. If you are starting up a new business or if you have an existing business for which you wish to see greater growth, you should consider investing in Personalized Pens. Because you are buying the pens wholesale you will be able to get them at a discounted rate. The fact that they are personalized pens will allow you to put your company name, company logo, and company tag line on them for establishing your brand and creating greater market awareness. These are also great to keep around the office for your employees as well. You will have to supply them with pens regardless and these pens will inevitably find their way out of the office, but with Personalized Pens it is a good thing. These pens will work like little, miniature billboards for your company. They are great to pass out at trade shows and various market days as promotional items for your business. 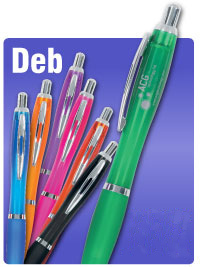 Our Bestseller Personalized Pens. Half Price!